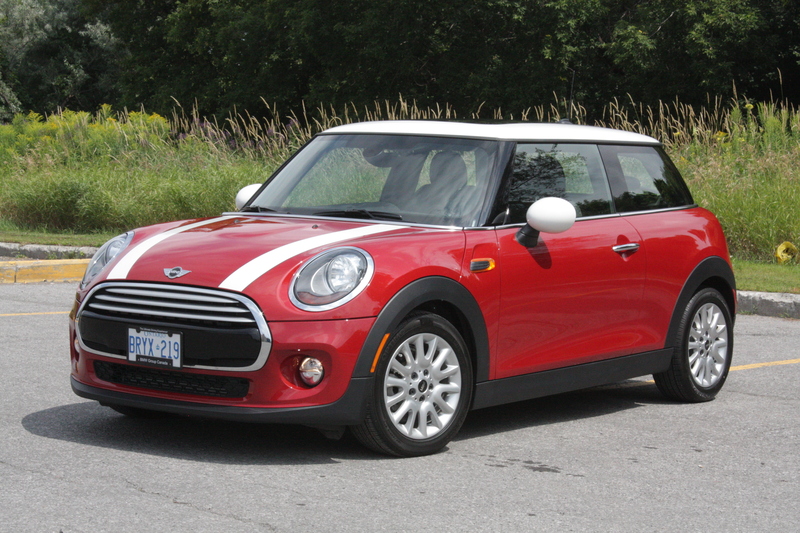 What you see here is the third generation of the “new” Mini Cooper. Base price is $20,900; options in my tester ran that up to $24,470. 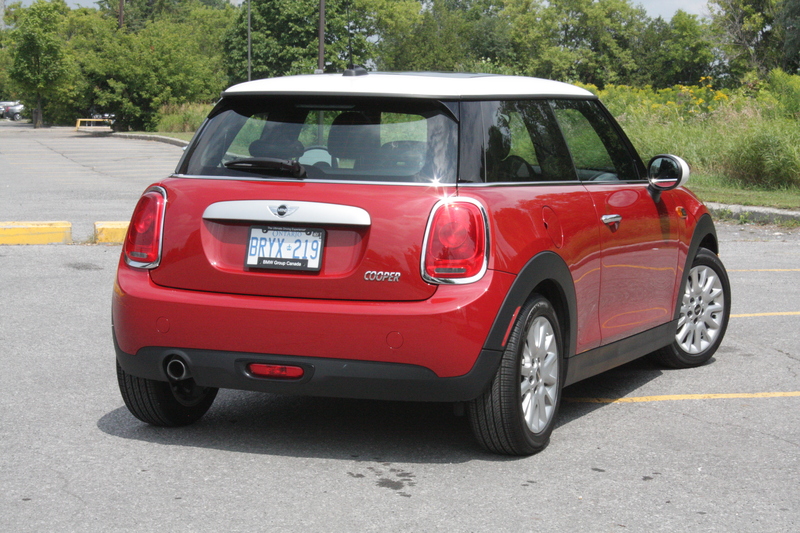 Its larger, bulky-looking exterior is polarizing; personally, I prefer the looks of the previous car. I day-tripped this one from Ottawa to a friend’s house on the east side of Toronto, and after the eight-hour round-trip, I was less tired than I have been after long drives in more luxurious cars. 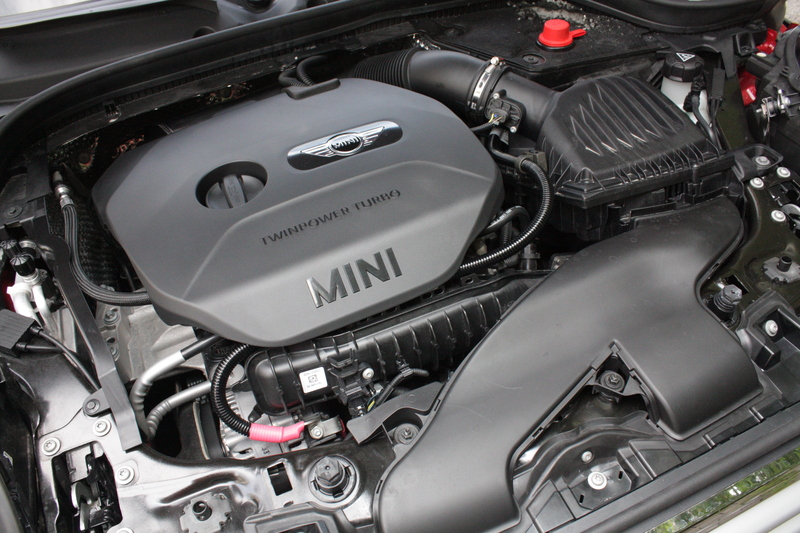 Entry-level models use a new turbocharged three-cylinder engine that’s more powerful than the four-cylinder in last year’s base car, and it produces an adorable, hilarious symphony of turbo-related whooshes, whistles and sighs as you accelerate and brake your way around city streets. That extra power is tempered by “taller” gearing that keeps engine speeds low, and bumps fuel economy up: my test car averaged 8.0 L/100 km in the city, and 5.0 L/100 km in highway driving at an average speed of just under 100 km/h. There was an urgency to the previous Cooper’s driving feel. Where’d it go? The new one is still fun to drive, with a nice balance in turns and sharp steering, but on the whole it feels softer and more relaxed. 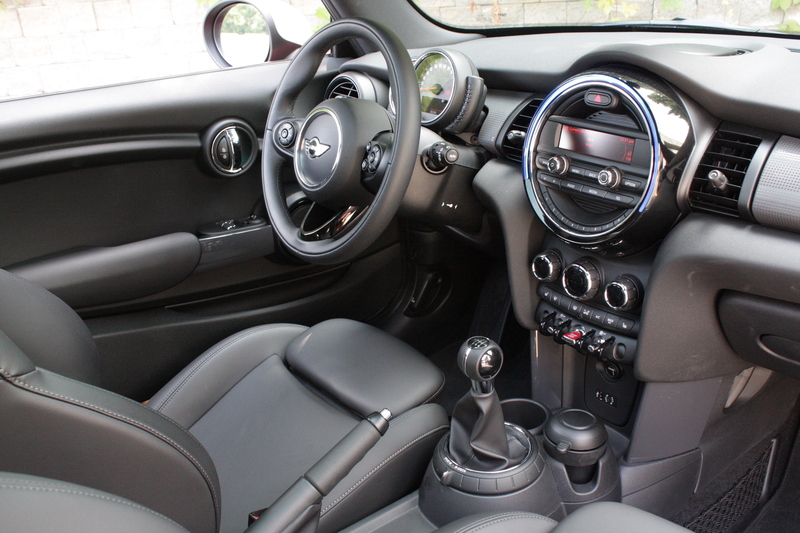 The manual transmission has a rev-match downshift function that makes you feel like a superstar driver every time you downshift for a corner, and generates more of the engine’s fun noises. However, I prefer doing this myself when I drive a stickshift, and I couldn’t find any way to disable it. Toggle the car into sport mode: throttle sensitivity goes way up, and you discover that this is the best way to experience this car. Sport mode also firms up the optional adjustable suspension ($500! ), but this makes the car uncomfortable on rough roads. Thankfully, you can set it to leave the suspension alone. 8. Dude, where’s my speedo? You’ll notice some changes inside. I like that there’s a bit more space, and that the electric window controls now live on the doors. 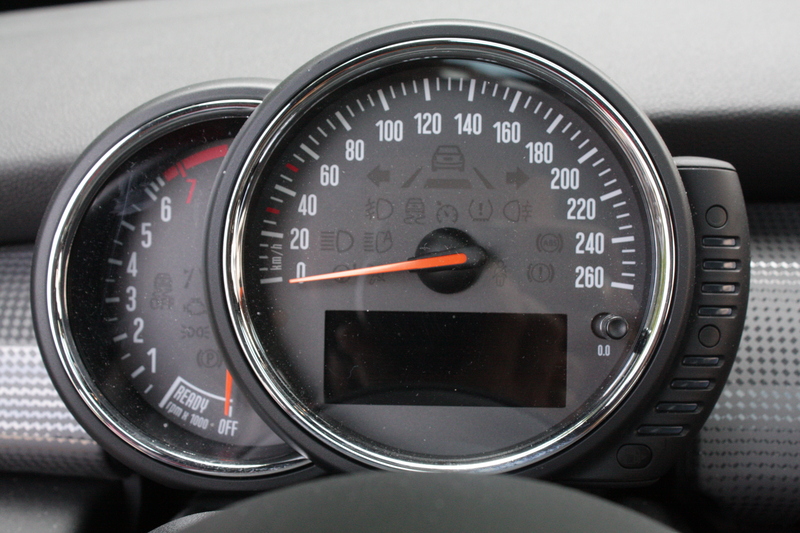 I never thought I’d say it, but I miss the massive speedo in the middle of the dash that was legible from three cars back and two lanes over.